Spacious & modern 2 bedroom, 2 bathroom apartment. Large reception room with dual aspect, benefitting from balcony, separate fully fitted kitchen, with the bonus of an off street parking space. 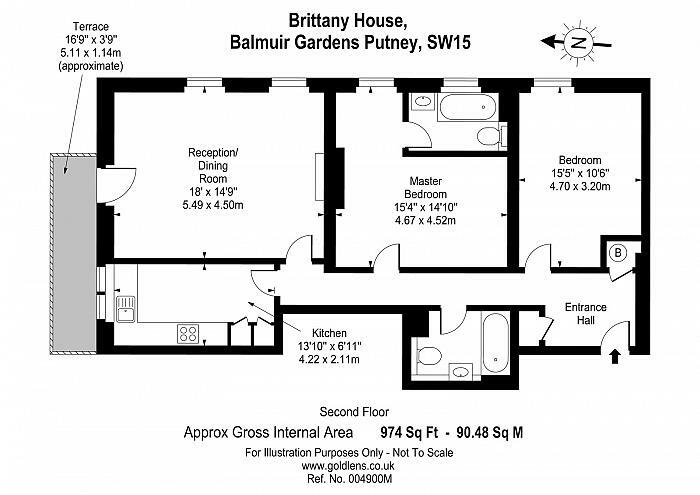 Balmuir Gardens is located moments from Putney High Street & Mainline Station, along with good local shopping facilities on your doorstep, with Putney Leisure Centre.